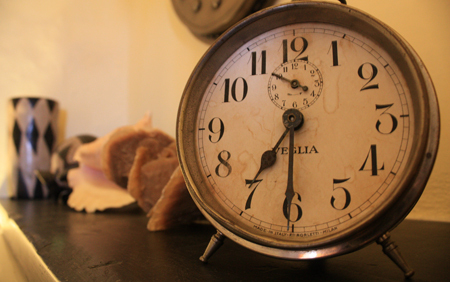 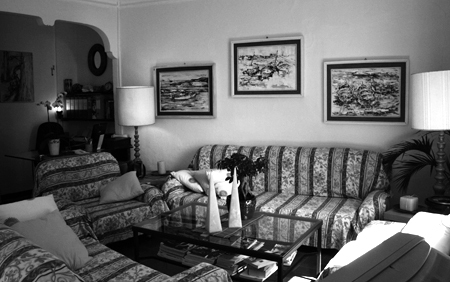 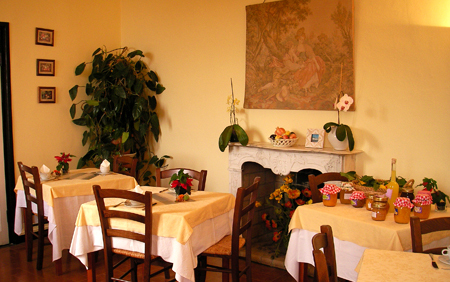 The manor house is characterized by a friendly and welcoming atmosphere. 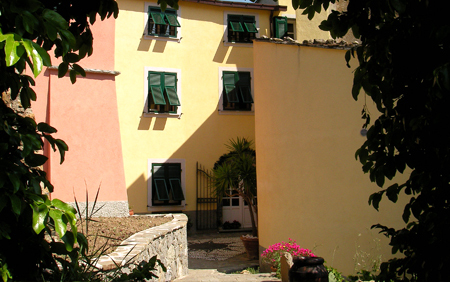 Antico Borgo is located in a panoramic position in Dosso, one of the most attractive medieval hamlets of Levanto “the Door to the Cinque Terre”. 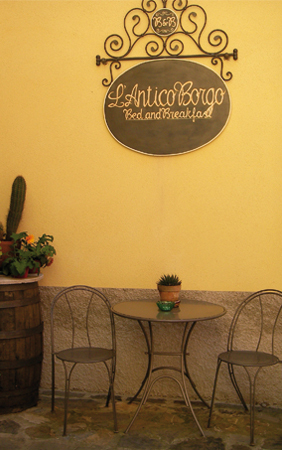 Antico Borgo is located among the green of the olive tree groves and vineyards, far from the chaotic cities and well-travelled roads. 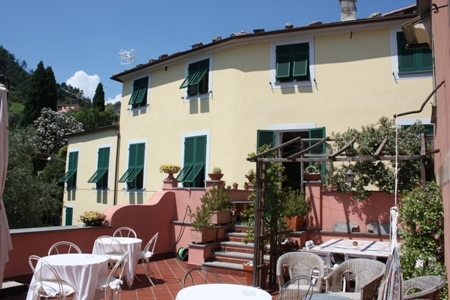 Recent renovation works have maintained the original structure of the house, preserving the typical welcoming and relaxing atmosphere enriched with all modern facilities. 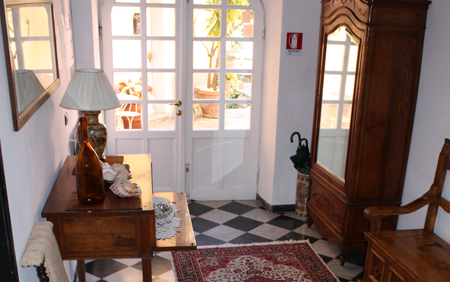 Among the ancient walls of the manor house there are beautiful, romantic and functional rooms, arranged on two floors, each one furnished in a particular way. 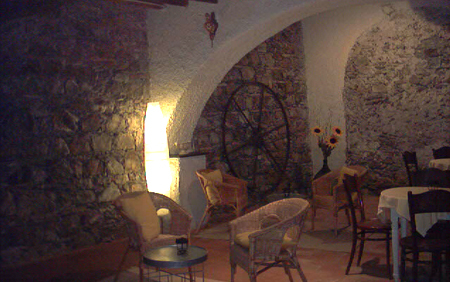 At the entrance there are two large and bright rooms with a fireplace, reading corner, information pack and WIFI Internet connection. 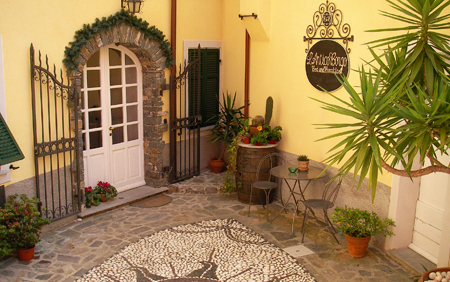 In the house there is also a typical basement room, personalized as a living room but preserving the original stone walls and traditional floor in terracotta tiles. 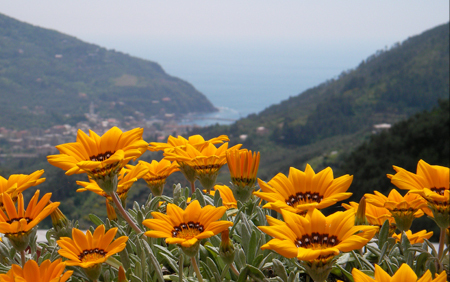 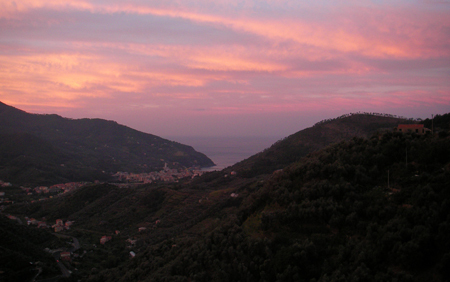 On the panoramic terrace our guests can enjoy a wonderful sight on Levanto and on the sea. 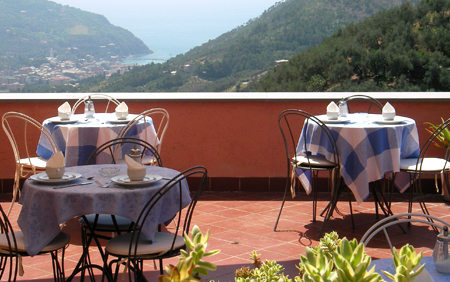 Here they can have a breakfast, sunbathe or just spend a romantic evening with a glass of local wine. 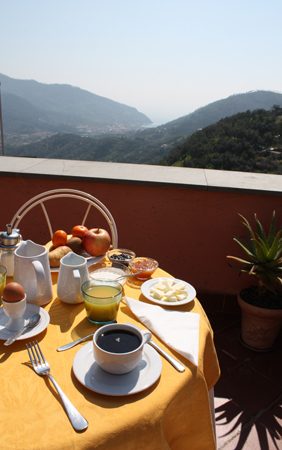 The breakfast: the most important meal of the day! 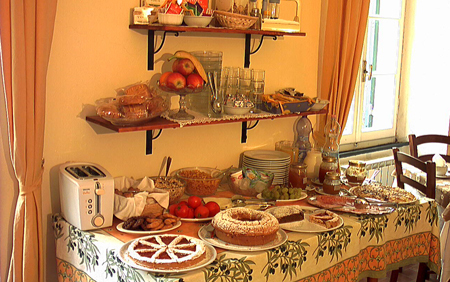 A rich choice of sweet and salted local products and tasty homemade cakes. 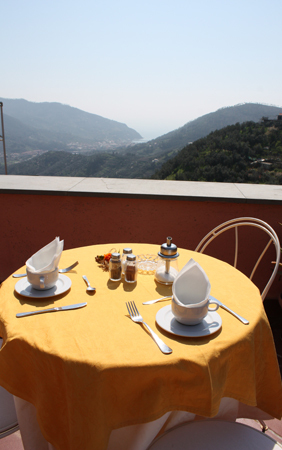 The guests can have their breakfast in the provided room or on the panoramic terrace. 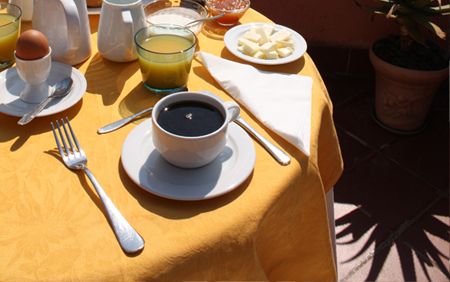 A healthy breakfast is the best way to get your day off to a good start!